The arbitration clause should be appropriate, that is capable of application in respect of disputes under the contract and should not be repugnant to any term of the contract. When the parties enter into a contract, making a general reference to another contract, such general reference would not have the effect of incorporating the arbitration clause from the referred document into the contract between the parties. 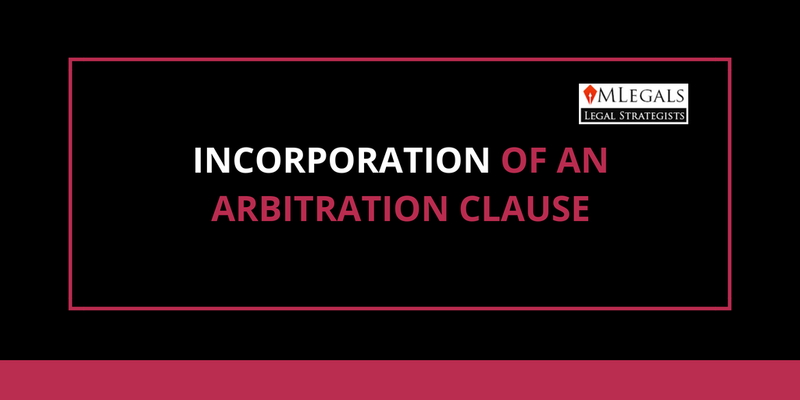 The arbitration clause from another contract can be incorporated into the contract (where such reference is made), only by a specific reference to arbitration clause. Where a contract between the parties provides that the execution or performance of that contract shall be in terms of another contract (which contains the terms and conditions relating to performance and a provision for settlement of disputes by arbitration), then, the terms of the referred contract in regard to execution/performance alone will apply, and not the arbitration agreement in the referred contract, unless there is special reference to the arbitration clause also. Where the contract provides that the standard form of terms and conditions of an independent trade or professional institution (as for example the standard terms and conditions of a trade association or architects association) will bind them or apply to the contract, such standard form of terms and conditions including any provision for arbitration in such standard terms and conditions, shall be deemed to be incorporated by reference. Sometimes the contract may also say that the parties are familiar with those terms and conditions or that the parties have read and understood the said terms and conditions. Where the contract between the parties stipulates that the conditions of contract of one of the parties to the contract shall form a part of their contract (as for example the general conditions of contract of the Government where the Government is a party), the arbitration clause forming part of such general conditions of contract will apply to the contract between the parties.